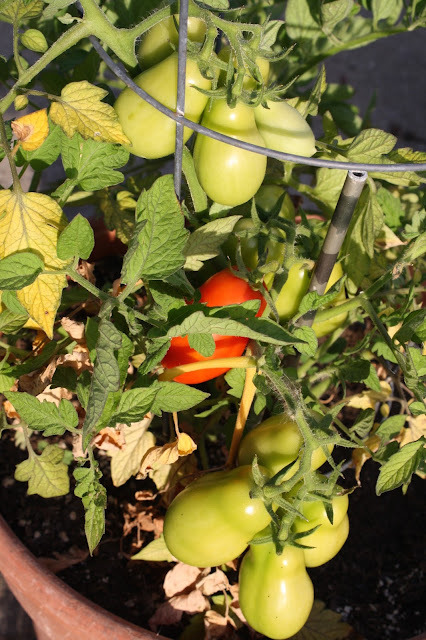 I've neglected blogging about our summer garden until now. 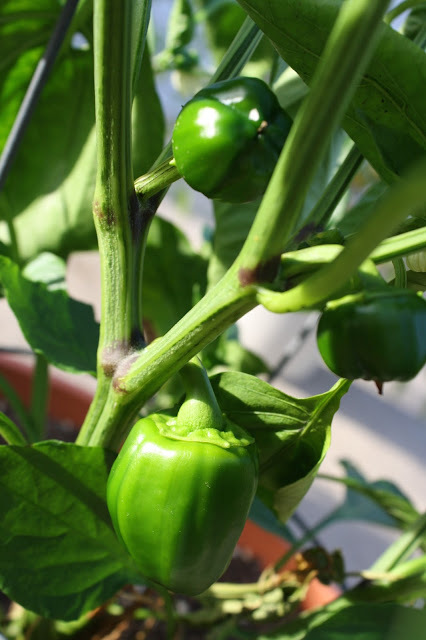 As in past years, we have a container garden on our patio and we keep paring down what we plant each year. We've got some orange cherry tomatoes. I've been picking about six at a time and they go straight into my salad for lunch. We just picked that red Roma tomato today too! I see some bruschetta in our future. 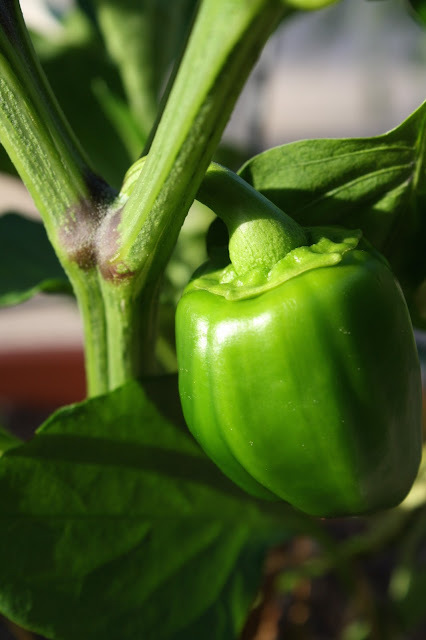 Our lone pepper plan stayed pretty small for a while, but it shot up all of a sudden. The peppers seem like they are going to be fine in the end. I prefer to let them turn red. Pacifica did not sponsor this post, nor are they aware that I am blogging about their products & brand. I genuinely love their products and as a result, want to share my recommendation with readers. I've been trying to use up old beauty products and replace them with 100% vegan & cruelty-free versions. 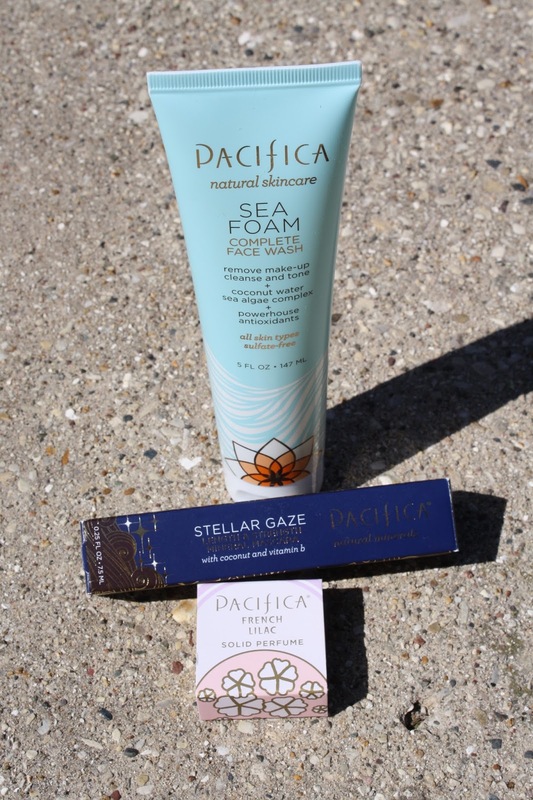 I have fallen in love with Pacifica products. Have you ever tried their brand? I picked up the Pacifica Sea Foam Complete Face Wash at a TJ Maxx. It removes makeup well, is sulfate-free and smells great (if you like coconuts). I felt like this face wash did not dry out my skin like other products sometimes do. Other reviewers say that it's great for their sensitive, acne-prone skin, which I can relate to. The Stellar Gaze mascara in Stardust (brown) worked well. It's a more natural finish than some of my other mascaras, but I would purchase it again in a heartbeat. I think I'd get black instead of brown next time and then it may not look quite so natural. It uses Vitamin B and coconut oil vs. chemicals to lengthen and add volume. 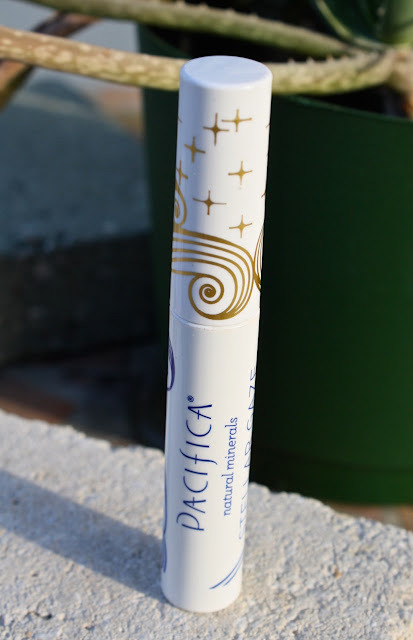 I wanted a solid perfume for my purse and lilacs are one of my favorite flowers, so it wasn't hard to decide on the scent I wanted to try in Pacifica's solid perfume. This is pretty subtle after a couple of hours. Have you tried any Pacifica products? If you have a fav, share it in a comment below! 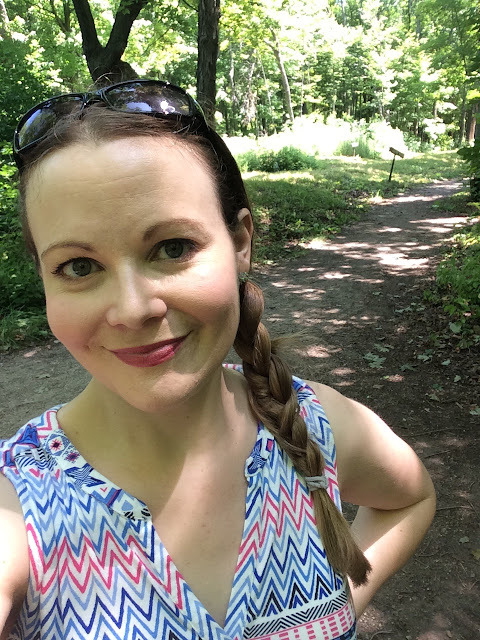 The past week and a half has been super busy, but that means I've been out and enjoying the beautiful summer weather. We went up north last weekend. We started out trip out in Appleton at High Cliff State Park. 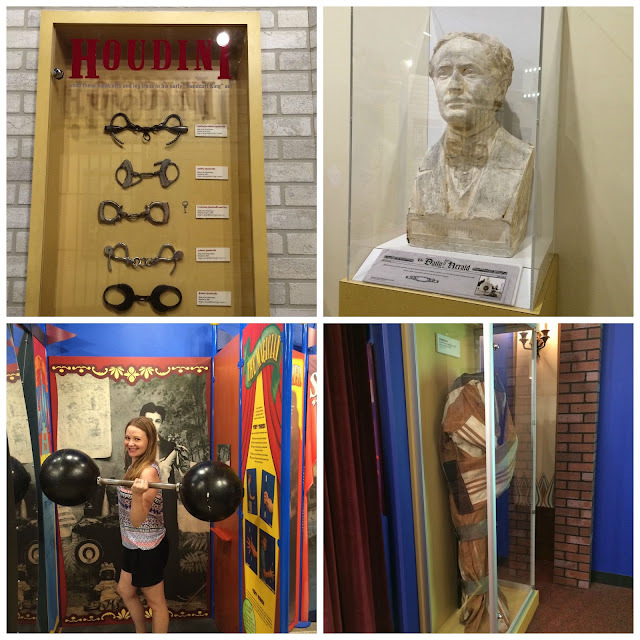 There was a stop at the History Museum at the Castle to see the Houdini exhibit. And they had a really cool neon exhibit there temporarily too. 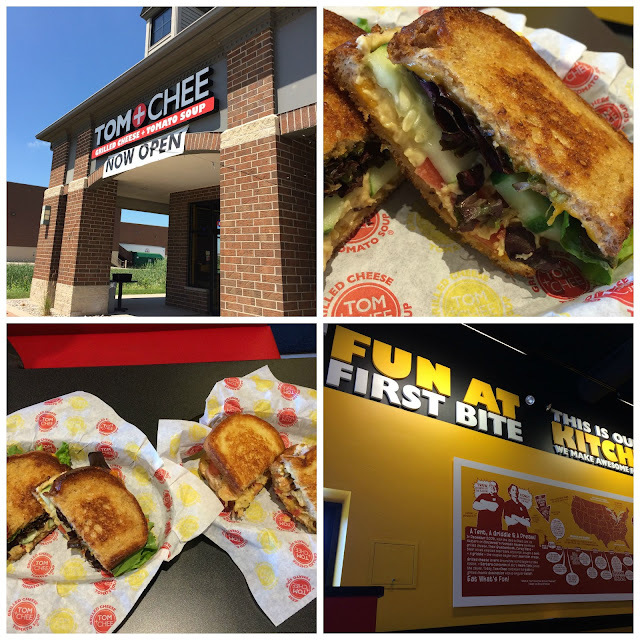 We had lunch at Tom + Chee for the first time! They were on Shark Tank and funded by Barbara. I insisted on getting a Dairy Queen cupcake when we got back to town. 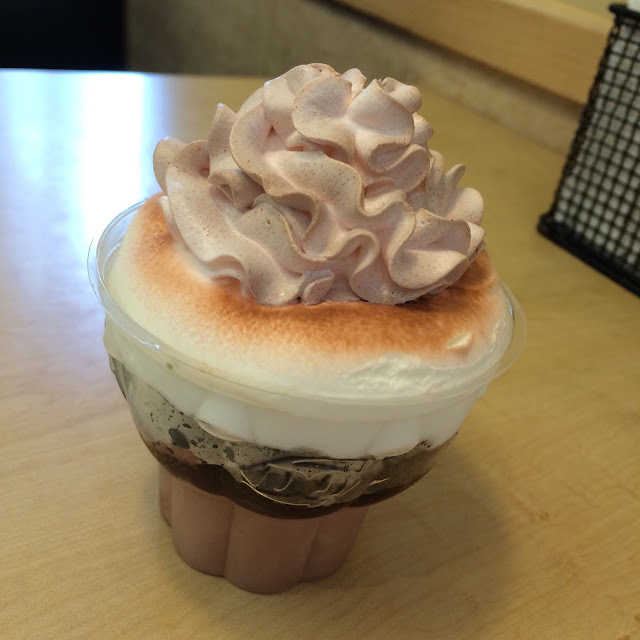 It's just like their ice cream cakes, but in a cupcake form! So delicious. 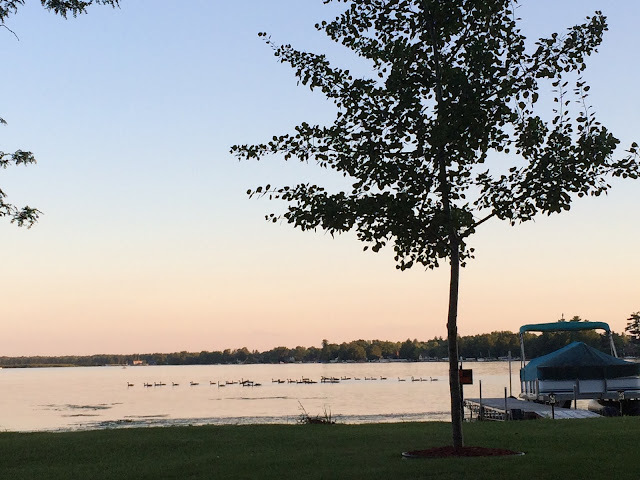 Being at the lake is always calming and I enjoy watching the birds, like this group of nearly 50 geese. The work week was pretty typical. I completed a bingo sheet for the Milwaukee Public Library's Adult Bingo summer reading challenge program! 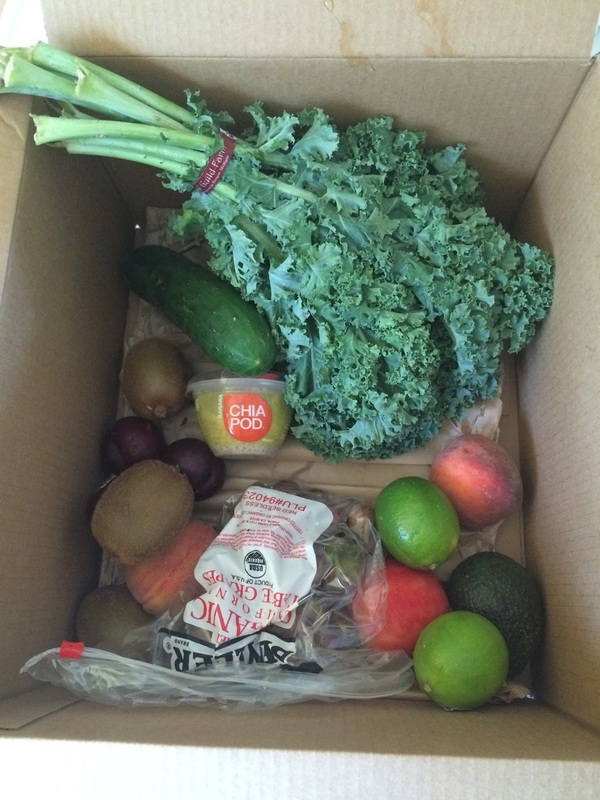 We got our latest Door to Door Organics order, which was a good one. 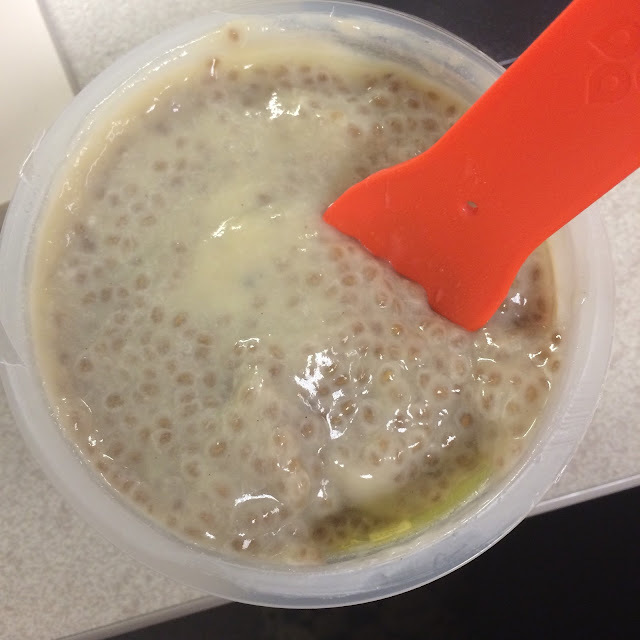 I added a Chia Pod to my order and it was pretty good. I'd love to try another flavor. Banana was OK.
On Thursday night, I headed to the Milwaukee Art Museum for a lecture on Van Gogh with my co-worker! I learned a lot about him and got all art history geeky after. 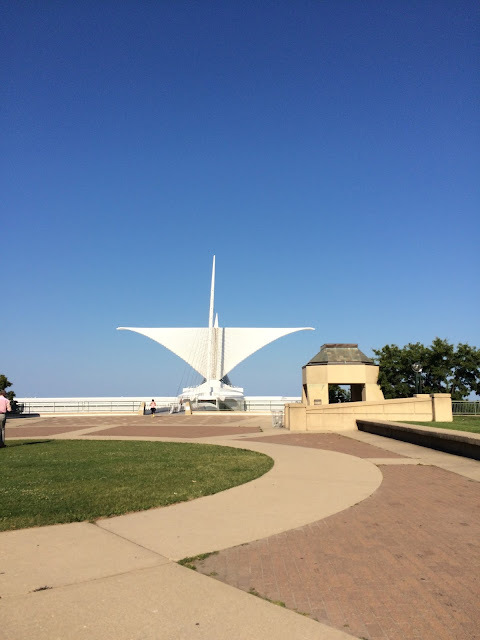 This past weekend, we went to the East side of Milwaukee for some food and the Air and Water show. 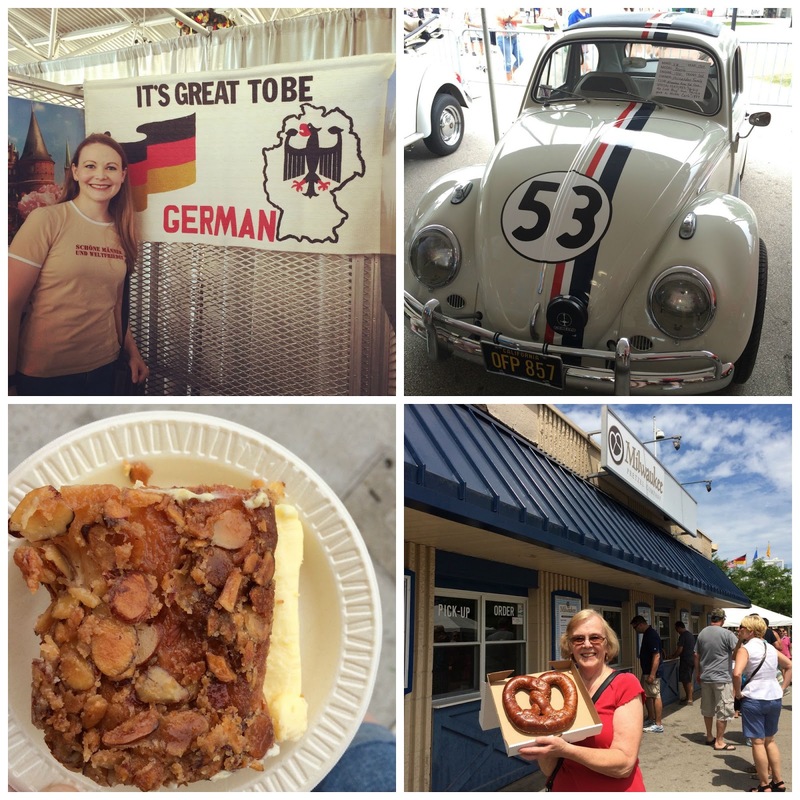 After a long day outdoors in the heat, I insisted we go to Kopps for some bienenstichkuchen custard. It was so good. 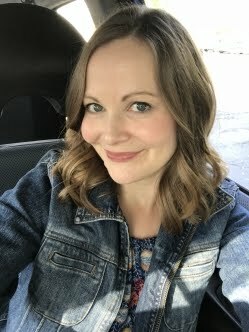 I wore my favorite summer dress from Target. So comfortable! Sunday was German Fest with my parents! 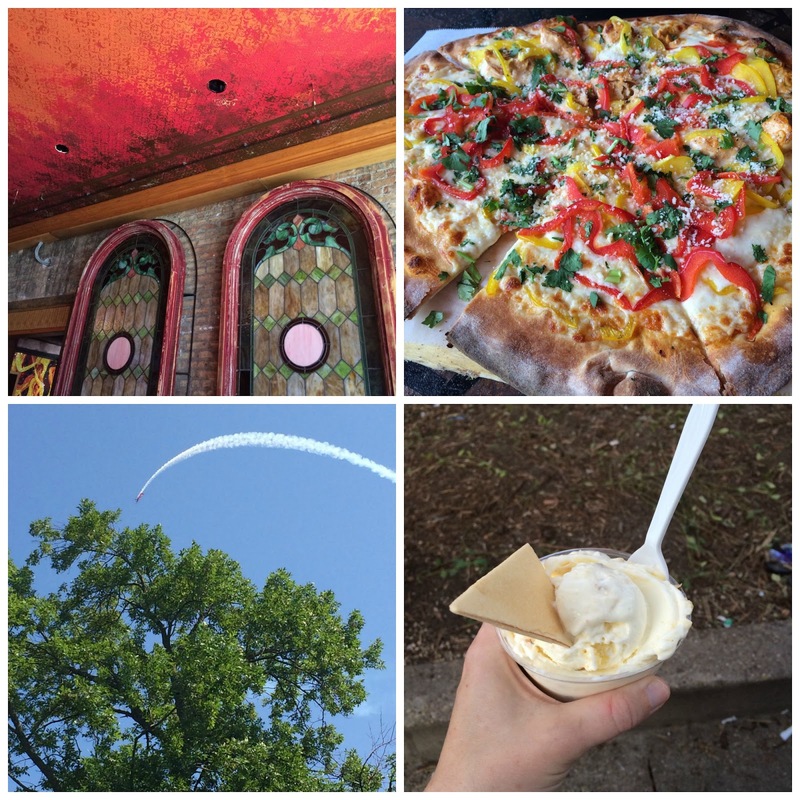 There was so much to do, eat, and see and I wish I could have gone all three days. It's been about 8 years since my last visit to the fest. Mom (or I should say "Mutti") ordered a Milwaukee Pretzel Company pretzel the size of my torso. I also got some Obatzda dip, which was delicious. 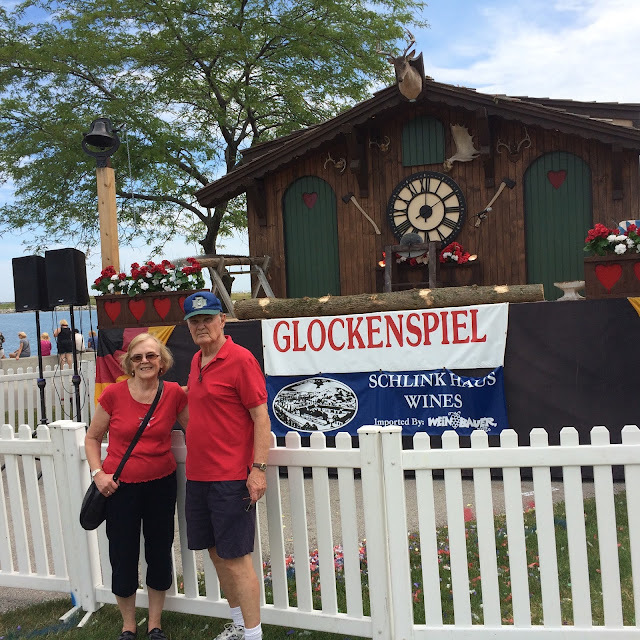 What a fun day at German Fest! I'm looking forward to a calmer week and weekend! Last Sunday, I went to a Fermentation workshop at the Bay View Outpost. Fermentation enthusiast Tara Whitsitt is traveling the country in a school bus for two years with the mission of teaching people about how easy it is to ferment vegetables. She brought samples for us to try! Here's Tara giving us a tour of her bus. 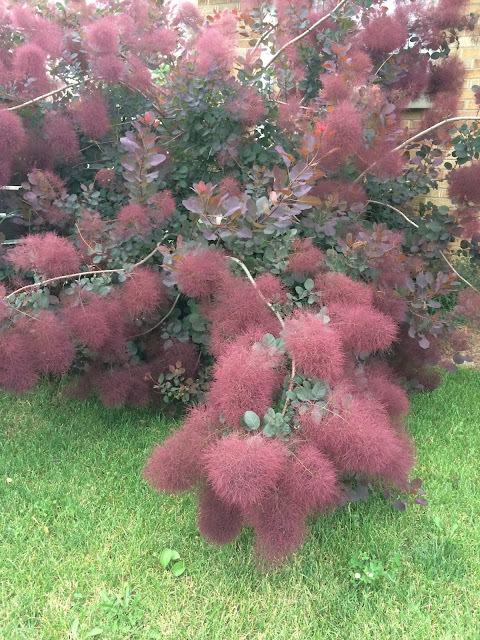 We saw this bush on a walk and it was so bizarre looking. It's called a Purple Smoke Bush. I took advantage of Food Truck Thursday. I was so happy to see the falafel guys there (it's often hard to find vegetarian food at some of the food trucks). It was really yummy, of course! I had a mango bubble tea from another truck too. The Maurice Sendak exhibit started at the Milwaukee Central Library this week! I loved their elevators and the exhibit was excellent too. I've been loving this Trader Joe's dip. It's delicious with pretzel thins. Craig and I headed over to Bay View on Saturday and enjoyed breakfast at the Outpost Cafe. I got a Rise and Shine juice and a breakfast burrito. I was full until 2 p.m. after eating this at 9 a.m. Lots of protein! My schedule was all out of whack this week, so we didn't get out on as many walks as we had hoped to. I went for a solo one on Saturday night because Craig was feeling sick. I enjoy walking in my Sperry's and find they are really supportive and comfortable. Evening sunlight on my walk--my hair looks so red/strawberry blond here. It's nearly donation time! Speaking of donating, we cleaned out 6 boxes of stuff and brought it all to Goodwill! The Minimalists and Marie Kondo would be so proud. This little girl and her "I don't want to eat animals" video. This reminded me so much of my childhood and it's no surprise that I am a vegetarian now. Watching an episode of America's Test Kitchen that featured a delicious looking Quinoa Pilaf with Chile, Queso Fresco and Peanuts. I added it to my "must make soon" list. 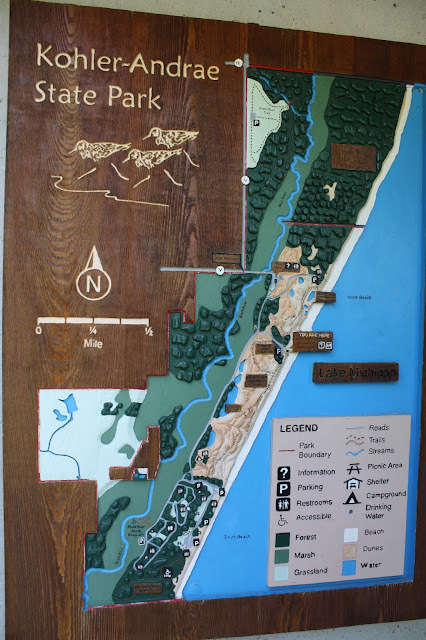 Craig and I headed north to Sheboygan today to check out Kohler-Andrae State Park. It was a chilly July day with temps in the 60's, but actually was quite perfect for the activities we set out to do. 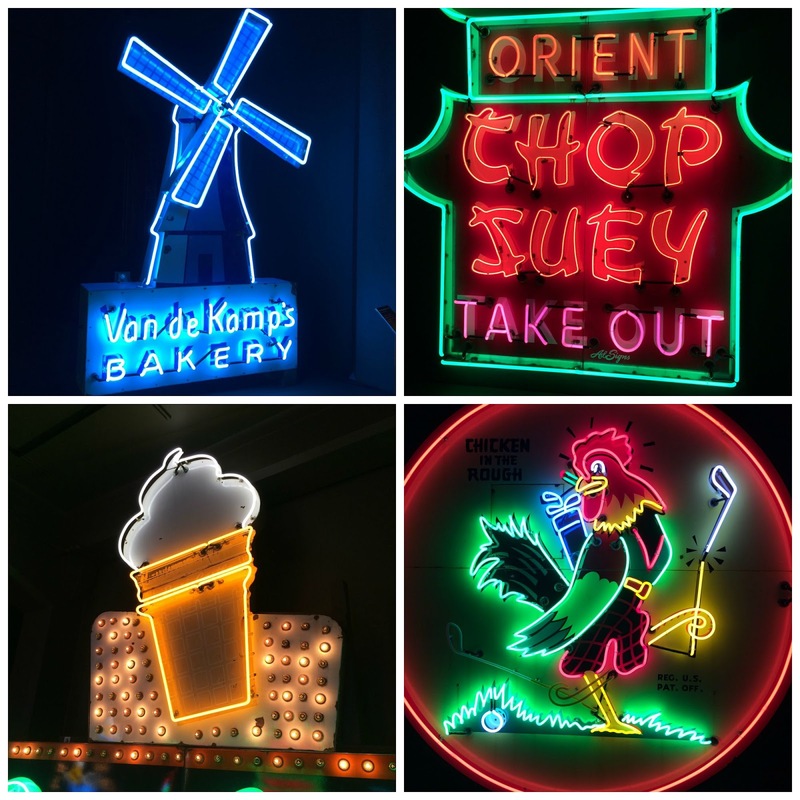 I spent a lot of time in Sheboygan in my early 20's, but never visited Kohler-Andrae before. It was such a lovely park! It felt like we were in Florida instead of Wisconsin. It felt great to be at the beach! We hiked the hilly Creeping Juniper trail, which was .85 miles each way. The whole path consisted of staying on the wood plank trail. I would not recommend wearing sandals on it like I did. I regretted not changing into my tennis shoes right away! Luckily I did not trip and fall. Of course juniper could be found along the trail. It was so cool to hike on top of the sand dunes. 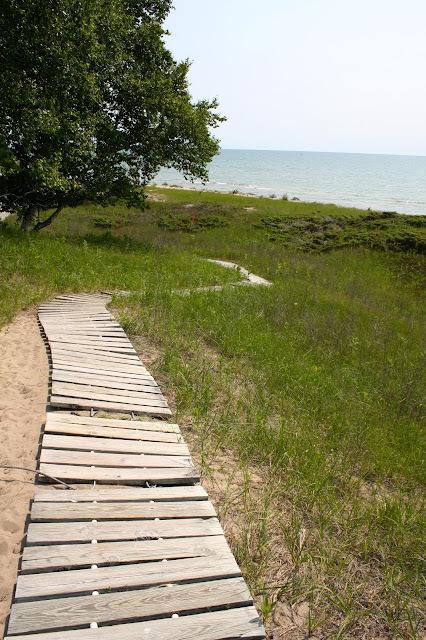 We had walked near sand dunes in Door County, but I much preferred this trail. After hiking, we were ready for lunch at Il Ritrovo in downtown Sheboygan. It was our first time there and we enjoyed it! I was craving greens this week and Craig rarely eats them, so we started with a fantastic salad that had fresh mozzarella, fennel, and tomatoes in it. Then we shared a pizza, which ended up being the perfect amount of food for us. I had mushrooms on my half and Craig had sausage on his. We really enjoyed our meal! The interior of the restaurant featured a unique ceiling mural. 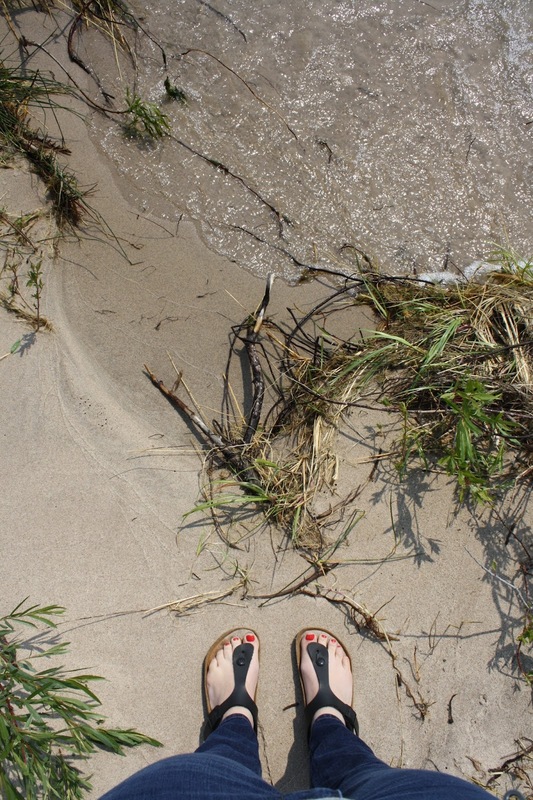 We ended our day in Sheboygan at the beach again. It was nice to relax on a blanket and read the latest Edible Milwaukee issue I picked up from Il Ritrovo.